Direct push technology allows for improved vertical profiling of a site by providing undisturbed soil cores that offer a more accurate depiction of the sub-surface over conventional Split Spoon Sampling. 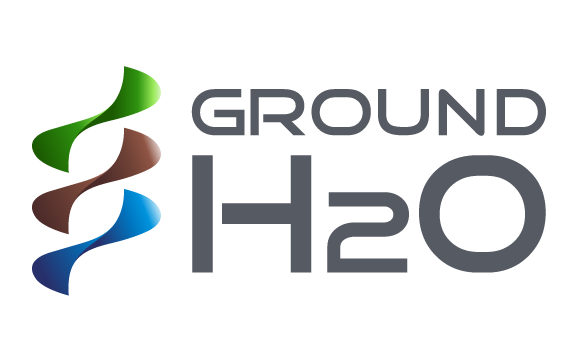 Ground H2O uses both Macro-Core and Dual Tube sampling systems to collect continuous or discrete soil samples from specified depths with in the bore hole. The Macro-Core (MC5) soil sampler is the workhorse of the industry, great for collecting large volumes of soil from shallow depths (<25’) and the drilling conditions can be challenging. For deeper depths, the Dual Tube system (DT-22 or DT-35) is more effective as it allows continuous, discrete soil sampling from a cased bore hole. This eliminates material falling into the borehole and provides increased sample integrity as well as an accurate log of the bore hole while enabling deeper borings to be completed faster and more cost effectively. Dual tube sampling uses two sets of rods to collect continuous soil cores with in the borehole. The outer rod transfers the energy from the hammer and is used to advance the hole, the second “inner” rod is used to hold the sample liner in place. Both sets of rods are advanced simultaneously and after each section or rod is advanced the inner rods are retracted retrieving the sample while the outer rods are left in place to case off the bore hole, providing a seal and eliminating fall in. once a new liner is added to the inner rods they are lowered back down the outer rod and the procedure is repeated. The Dual Tube system is available for both the 2.25” and the 3.75” outer rod allowing for the collection of either a 1.375" OD or a 1.85” OD sample, both systems can allow for wells or Groundwater samples to be collected without the drilling of a new hole. Monitoring wells are an integral part of a site assessment allowing for future monitoring of groundwater conditions. Direct push technology allows for the installation of Pre Packed wells or augers can be used for field constructed wells. Pre Packed monitoring wells are a quick and effective way of monitoring groundwater, they are available in sizes from ½” to 2” ID and are installed through the 2.25” or 3.75” probe rods with the use of an expendable point, the benefit to a pre packed well is having a factory installed sand pack at the exact interval that is needed, even when heaving sands or borehole collapse are present. Pre Packed bentonite seals are also available to ensure a proper seal when depth or water table prevent a surface seal from being effective. another benefit to pre packed wells is the reduction or elimination of IDW, with no cuttings to dispose of this can help keep costs down. Field constructed wells are available from 1” – 4” OD and are installed through Hollow Stem Augers or in a open bore hole, the filter sand and bentonite seal are installed while the augers are removed. All wells can be finished at the surface with protective casings or road boxes installed in concrete pads to help ensure years of service. Groundwater samples can be collected via temporary PVC points or retractable stainless steel screens. Both options allow for the quick collection of a sample using a small bailer or peristaltic pump, without the expense of installing a permanent monitoring well. Vertical profiling can be completed when drilling with the Dual Tube system collecting a groundwater sample at specific intervals as the bore hole is advanced. Soil gas samples can be collected using the Post Run Tubing (PRT) system or a stainless steel implant that can be used for one time or long term monitoring. Soil samples can be collected using Macro Core samplers, Dual Tube Samplers, and Split spoons for geotechnical sampling. Monitoring wells are available from 1/2"-4" diameter and can be pre-packed or constructed onsite through casing or augers. Concrete coring is available in sizes from 3" to 12" to a depth of 2' or more. This allows for a clean hole through a slab for the installation of soil borings or monitoring wells.